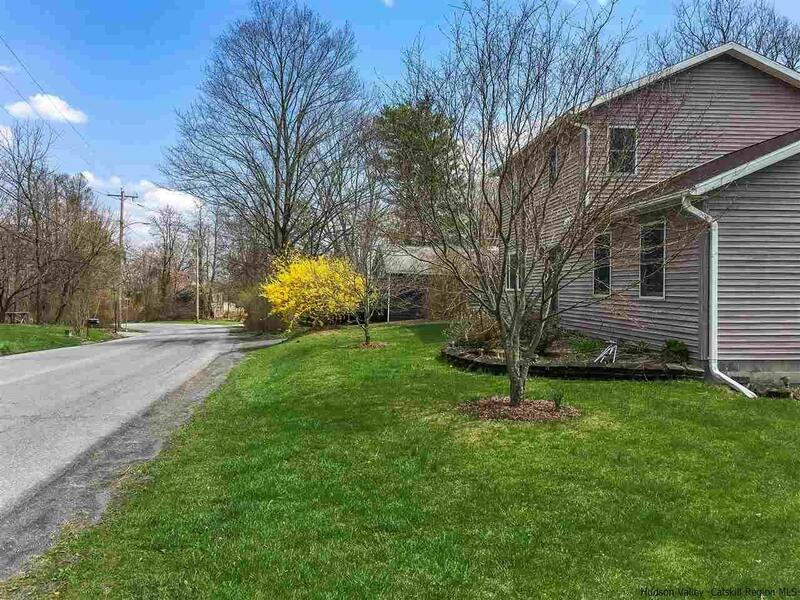 Nestled in the Catskills on almost an acre of land and offering 3 bedrooms and 2.5 baths, this immaculately maintained home is sure to be popular. For those who like to stay active, hiking trails are nearby along with skiing, fishing and boating while the Village of Saugerties and Woodstock are also within easy reach. Light-filled and offering ample space to spread out and relax, this home has something for everyone. The large eat-in kitchen boasts an island, ample storage and modern appliances. The carpeted living room features a large pellet stove and vaulted ceilings plus French doors which lead out to the outdoor rear patio. Upstairs is home to the beautiful master suite with a loft office area, a walk-in closet and a full private bath complete with a jetted tub. This home's stunning interior is completed by the expansive outdoor space on offer. You'll love the large heated in-ground pool with the pool liner replaced in 2015. Sit back and admire your gorgeous landscaped lawn or indulge your passion for gardening in the vegetable garden. Extra features include a den/office and laundry on the main floor, Anderson and Pella windows and a huge 24 x 28 garage with additional storage and an attic. For year-round comfort, there's also 3 ductless split system units providing heat and air conditioning and oil-fired baseboard heating. This home is located within easy reach of a range of amenities, including schools, and is also close to the Lazy Swan Golf and Country Club and HITS. The NY State Thruway is within easy reach while you are less than two hours from Manhattan.